WordPress web design projects usually run pretty smoothly, sometimes like clockwork. Clients sign-off on milestones, forward creatives and content quickly and always respond to your email inquiries with the utmost of efficiency. Oh, and bills, they always pay their bills on time. Does this sound familiar? Typically, communications between client and developer end up being the number one bottleneck which prevents projects from achieving on-time completion. Do you find yourself wishing you could improve the quality of communication with your clients? Do you wish you could stop chasing clients and team members down because after three days, they still haven’t replied to your email? Do you find yourself feeling frazzled because you’ve got too many projects on the go? Is your inbox overflowing with client communications & files? Those are the problems were going to tackle today as we cover some techniques you can use to ensure better client communication. We’re also going to share four of the top project management apps that can help you juggle your client projects more efficiently. We’ve established that client communication can be a major source of frustration for the modern freelancer. Sometimes it often takes days or weeks to get a response back from a client, regarding an issue that should be resolvable in just a few minutes. Not all, but most of the time, poor client communication is a result of not setting clear expectations at the outset of the relationship. If you don’t set clear rules and guidelines about communication, project workflow, and completion dates, you’ve got to expect your clients will (unintentionally) push the boundaries of what’s acceptable. It’s because we’re all busy. We’ve all got multiple projects going on, both inside and outside of work, and it can be difficult to manage them all. Especially if you’re not naturally organized. The solution for you, as the freelancer or agency is to set expectations and policies that will make the completion of your client’s project a priority – for both of you. The guidelines and expectations should be clear, fair and not one-sided. Make sure both parties agree before you commence a project. Establish a reasonable time frame, in which phone calls, emails or updates in the project management software are responded to – e.g. 24 t0 36 hours. Once the time frame has elapsed, work on the project is stopped until a response is received. Consider a contract clause that says after two unanswered requests for information or approvals and five business days, the project will be put on hold and a reactivation fee will be charged. These might seem like extreme solutions, but they’re not. What you’re trying to avoid are the worst case scenarios and the repeat offenders. If a client takes several days to get back you every time you need information, they are delaying your ability to get work done and, in essence, to earn an income. Everybody has a love/hate relationship with their email. One of the best things you can do is get your clients out of your inbox. No more long, unwieldy email threads and no more lost or missed email excuses. So where do you virtually put those clients if the inbox is no longer an option? One alternative is to use project management software – something which we’ll get to in a little bit. The other option, especially as you move into the maintenance phase, is to use help desk software, such as Groove or Zendesk or Help Scout. We’ve all had those email conversations that start with one quick question but quickly descend into a barrage of 10 or more emails, back and forth. Each salvo containing just a sentence or two. By the time you’re through the first few emails, another question has been thrown into the fray. Here is the solution to that problem: Any conversations that can be solved 100% within a line or two should be dealt with via email. Anything that requires supporting documentation, niceties, small talk or multiple options, should be dealt with in a phone call. Plain and simple. If you’re finding it a challenge to coordinate and track client projects, you’ll find project management software to be a lifesaver. The additional monthly cost is probably the only downside, but it’s a small price to pay considering you the fact that you will regain your sanity. Not only does using project management software get you out of your inbox, it creates a centralized portal where all communication takes place and where all files are stored. It also creates a permanent record and timeline for your entire project. If an issue ever comes up regarding response times or lack of communication, it’s all right there in front of you. There are quite a few project management software options available. In the next few paragraphs, we’re going to run through some of the most popular options. There’s only one way to describe Basecamp and that’s “COOL”. Maybe that’s an overstatement but as a company that started over 15 years ago, they’ve managed to work 99.9 % of the kinks out of their software. It’s simple to use, feature rich and bringing clients up to speed takes no time at all. If you ever find your business to be a little slow, you can also pause your account for free (short-term) or for $10/month they’ll keep your data on file indefinitely. The pricing for this option starts at $20/month, covering 10 active projects and 3GB of storage space. One nice feature of Basecamp is that they allow unlimited users, even with the smallest plan. That means that you can invite unlimited team members and clients to each project. Plus, you’ll be able to control what can and can’t be seen by each member. Basecamp is fast too since it’s largely text based without a fancy user interface. 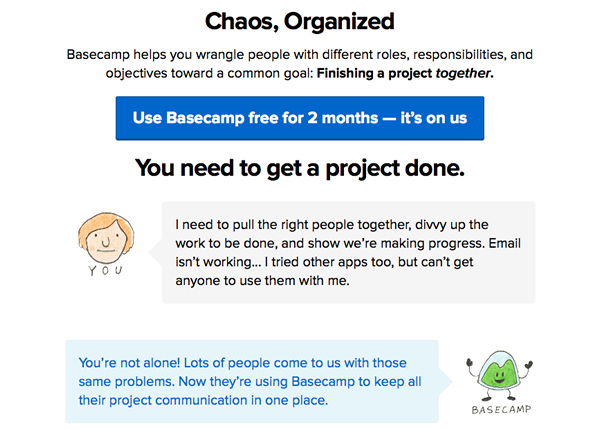 One major advantage that Basecamp seems to have over the other project management options out there, is its intuitiveness. Basecamp has what is probably the shortest learning curve of all four options discussed. You just sign-up and get started. Within 10 minutes, it honestly feels like you been using the software for months. I think that’s a result of 15 years of refinement and a commitment to keeping the software highly functional, while at the same time, bloat-free. At first glance, Trello doesn’t seem to be very feature rich. However, after spending a little time with the software, you’ll soon find it does exactly what you need it to do, without any unnecessary flash. For a freelancer or small agency, you can easily get away with using the free version. You’ll be able to upload file sizes as big as 10 MB, as well as invite as many users as necessary to each board. One aspect of Trello that could be improved, at the lower price points at least, is the ability to manage user permissions and access to specific cards. Teamwork is a full-featured project management software that’s built for teams. Like all of the options discussed today, it’s easy to use and will get you out of your inbox. You’ll be able to spend more time on your work and less time managing your team. 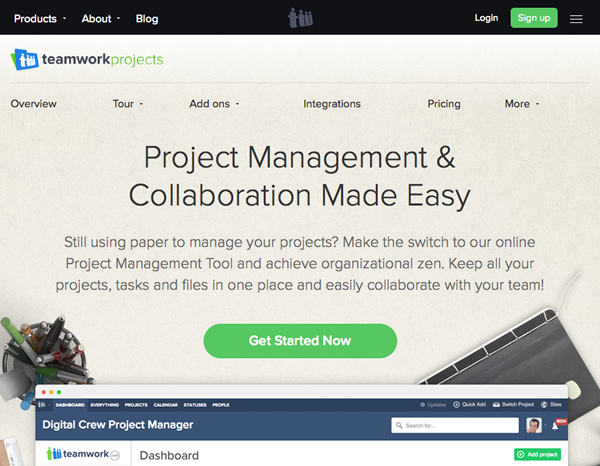 Teamwork Projects offers a free version that will allow you to manage two projects. Moving up to the lowest pricing tier of $12 is relatively inexpensive, but a potential issue for developers and designers is the fact that the lower pricing tiers do not offer integration with Google Drive, Dropbox or Box.com. Given how many people rely on these cloud storage options, it fair to say that this should probably be included as a base level of service. One thing Teamwork Projects does particularly well is manage teams (as you’d probably expect from its name). It’s definitely more capable when it comes to team management than Basecamp or Trello, although the learning curve is slightly more complex. 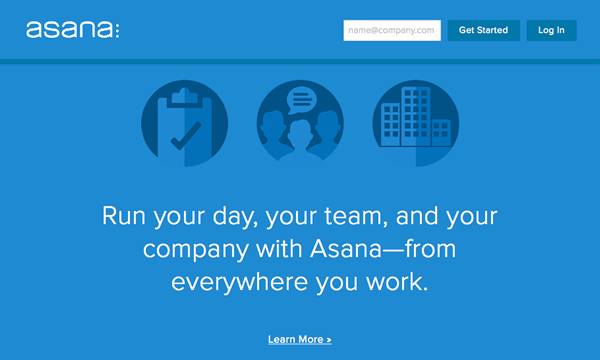 Asana is another option for managing teams and is also the only software I have not personally used. Sign-up is simple and free until you upgrade to premium features or need to be able to act as an administrator. Access to advanced features and pricing starts at $21 for up to 5 users, which is certainly not the least expensive option. At that level though you have the ability to attach files from Dropbox, Google Drive or Box.com. A feature not available in Teamwork until the $49/month pricing plan is activated. Hopefully you can now see the challenge when it comes to picking the best software? You really need a clear understanding of your requirements before making a commitment. Eliminating chaos and getting the feeling that your client projects are under control is something that can greatly enhance your work life and your attitude to your craft. Thankfully its one of those changes in your business that you can implement very quickly. It’s as much about developing good habits as anything else. For freelancers and service providers, the number one challenge always seems to center around client communication. The good news is that these issues can mostly be solved by putting your expectations on paper – don’t forget to make them part of your contract as well. The actual organization of projects will improve dramatically as you begin using any type of project management software. 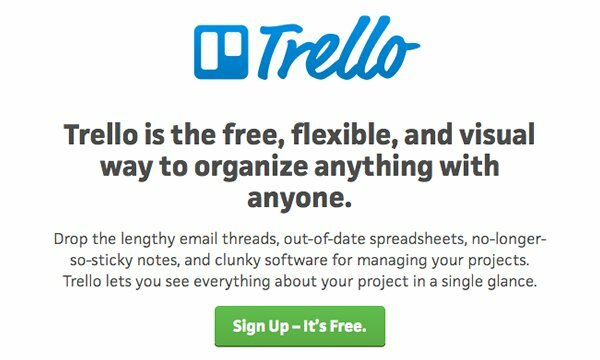 Even the free version of Trello will put you leaps and bounds ahead of relying on your inbox – something its not uncommon to see taking place on a regular basis. How do you manage your expectations surrounding client communication? If you’ve experimented with or use project management software, do you prefer one option in particular? Please share your thoughts in the comments below. I think I’ll stick with my inbox thanks. Everything in one place. Searchable and organized. Flagged items to take care of. Everything else, just an archive of earlier conversations. And no, I don’t want to talk to clients over the phone or even encourage them to call me. I want it in writing, and I’m not talking about the notes that I am forced to scribble down on loose scraps of paper as my client meanders through their thought process while I try to synthesize what they are babbling on about over the phone. The phone is an interruption that I can do without. Me too — email works great, for exactly those reasons. I notice that people who have any ‘hate’ in their feelings about email are usually the ones who have just never learned to manage it — which I don’t find difficult at all. (Good spam filter, unsubscribe from anything I don’t need, check and respond to important stuff at least twice a day, otherwise don’t allow it to run my life. That’s it, in case any of the haters are wondering how it’s done!) I’ve been using email for client work for over 16 years now; it’s pretty close to ideal. However, as much as I generally dislike being on the phone for any reason, I do think it’s important to *occasionally*, at strategic points, have a phone call with a client. Without that, communications can get strained without me even realizing it, since so much subtlety is lost in email. A phone-meeting with a client often serves to smooth over some storm that may be threatening, and just reassure them that I’m really here. But I *always* schedule these phone calls. In sixteen years, I’ve almost never taken a client call without an appointment. That way I’m not interrupted. As far as getting a client to log onto *anything* in order to communicate with me, I think that’s entirely unrealistic. They might do it once, if they’re a really nice person – *maybe*. And I don’t blame them. I recognize most of these situations. I use Daylite and Billings pro for project management, CRM and billing. It really helps to organize your business in general and to have good insights. Keep up the nice blog posts! Couldn’t agree with you more. I use it with a handful of clients and it’s definitely a lifesaver. Thanks for the share about Asana. I just watched their video. Looks like a great service! I use Azendoo past few weeks and I’m happy. It replaces basecamp without much nostalgia. I have used Insightly to manage projects and have been more than happy with them and their price. Great advice. I’ve used Asana and think it’s a great project manager. Might take some getting use to, but a great option. Just started using SmartSheet. It is awesome. Tried Trello for a few months and Asana as well. Guess it really matters what you are tying to do. Thanks Charlie, will check that one out. It actually IS the most inexpensive option when you consider that the “advanced” features that you have to have a paid plan for are things that most small businesses can do without. Most of the things that other productivity tools make you pay for, Asana does for free up to 15 users. What do you recommend for a small team of 5 people including developers, sales, and graphic designers? Thanks for opening my eyes to some of the possibilities in project management. Nice article and great guideline for manage clients projects. Like specially project manage software details. Thanks for share. We use Intervals (http://www.myintervals.com/) for task/project management, and highly recommend it. Preach it! I write freelance . . . and actually offer a small discount to clients who set up and keep to a monthly payment date. I figure it’s worth the time and stress of trying to wring it out of them. Just an idea for other freelancers out there. I have one major client who’s a web developer and uses Teamwork.com to manage projects. I’ve found it quite effective. That’s a good idea. Any way you can make your freelance income a bit more predictable is worth exploring. One thing to note is that Trello integrates with Slack, which is already a nice addition to have with a team of designers/devs. Good post. I have researched and tried every single project management software just a few weeks ago. I had a few requirements which it seemed like no one offered completely. And allow vendors access (copy writers, designers) without anyone seeing anybody else. It works for our team and hopefully it will keep some of you from ridiculously long research that I had to do. You left out podio, I think they should at least get a shout out.. Fan of PaymoApp.com, free for a freelancer with 1-3 active projects and 1 invoice a month. I love being able to save a Project Tasklist Template (kinda like in Basecamp), and being able to accurately track my time (!) and keep all sorts of project files organized. A client of mine uses Basecamp. I was unfamiliar with it when I started but, like you mentioned, within minutes I was up to speed. It is very easy to use and not as easy to access as the email on my phone so I am not sucked into it as much. The only problem I have with phone calls is differing time zones. It can be difficult to manage a call when I am sleeping or vice versa, my client is sleeping 🙂 but I do agree, sometimes a quick chat is a whole lot easier. Also, just so you know, I can attach files from my Dropbox with the free version of Asana. Are you sure you have current information? My biggest problem with all these project management software is that it basically just replaces email. If you don’t want to get notified by email of each and every change/addition, then you will need to keep the software in an open tab and then you will also get disturbed by all notifications. Great article. I’ve been looking for 2 years for the “perfect” solution to project management software & still haven’t found it. I’ve tried them all, including a few that didn’t make this list. For now, I use a combination of Freedcamp (a free alternative to Basecamp) & Google Insightly (for internal communication/project management/task management). It’s not an ideal setup, but it works! No matter which one of these I use, I’m always limited by the structure of the software. It’s remarkable how much flexibility you need to really be able to operate out of one marketing hub solution. So many nice reports about Asana and I hear about it more and more every day. Could you please explain what is so really special about it in comparison with others? So many recommendations make me think sometimes that may be we should try it too 🙂 Actually we use Worksection now and it works great, we really don’t have any complaints about it and it’s pretty cheaper… But may be I miss something important… Has anybody advice? We use proofhub for our startup. I think this is the best tool one can try to manage projects.